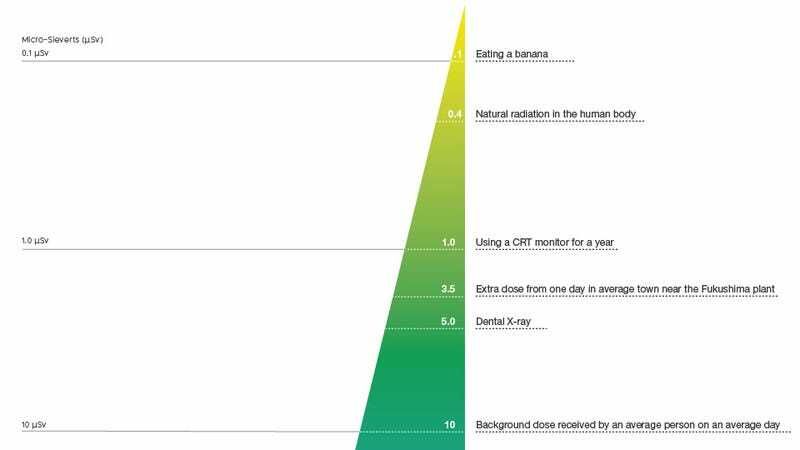 We've been talking a lot about radiation lately—and with good reason—but it's been difficult to keep track of just what all those numbers mean. How much is safe? How much is bad? How many bananas do I have to eat before I mutate? This chart shows us in clean, beautiful, terrifying strokes. The full chart (below, click to embiggen) may not be to correct scale like the also terrific xkcd radiation dosage chart, but it's a bit easier to follow. The chart also puts things in terms of Fukushima, where maximum radiation levels have nearly doubled the highest dose limit for US radiation workers in life-saving situations.